Booking a holiday means you’ve got to sort out your flight tickets, pronto. If it’s expensive now, don’t even think about waiting till early December - those seats will be booked out before you know it. But many of us dawdle in cinching those flights since we’d rather firm up our travel itineraries first. Now with Expedia’s new Add-On Advantage, there’s no reason to hesitate. Book your flight or package on Expedia and take all the time you need to ponder over your shortlisted hotels. Until the day of your trip, you can claim up to 57% off selected hotels*! Many times I’ve rushed into booking a flight + hotel combo, and many times I’ve regretted my choice of hotel. No surprises there, I’m prone to hastily booking the first hotel I find simply because I’d rather clamp down my flights. 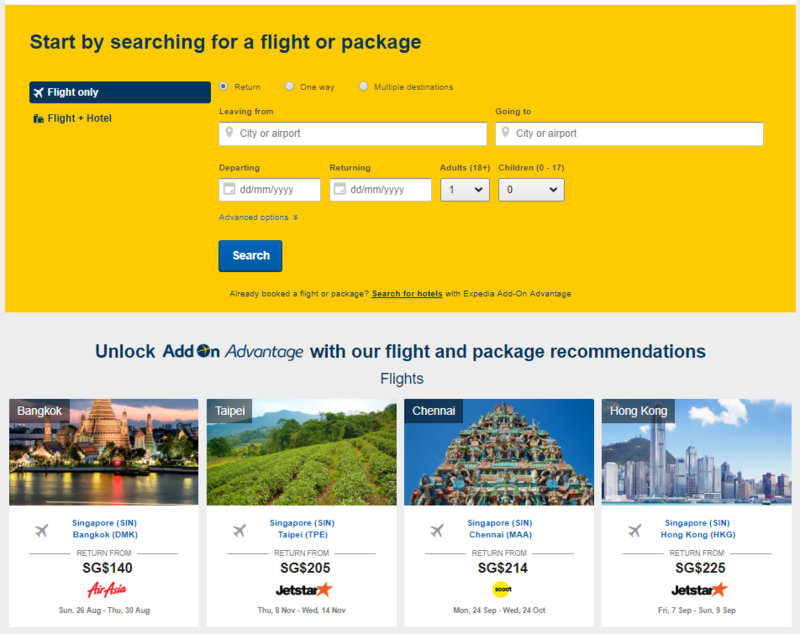 To unlock Add-On Advantage, simply book a flight or package on Expedia. Thank heavens for Expedia's Add-On Advantage. We have up to the date of our trip to decide on a hotel of our choice - that means no more wandering regretfully into a hotel that’s miles from the city centre and gasping at the derelict state of our bathroom. Instead, we have plenty of time and flexibility to add on our hotels wisely. Plenty of hotel choices for a trip to Tokyo, with discounts on hotels like Hilton Tokyo and APA Hotel Shinjuku Gyoen-mae. And since a hotel room has the potential to make or break your holiday, whew - that’s a load of stress off our shoulders. What a relief to have all this added flexibility and time so we can be safely assured that our dream holiday will go according to plan. 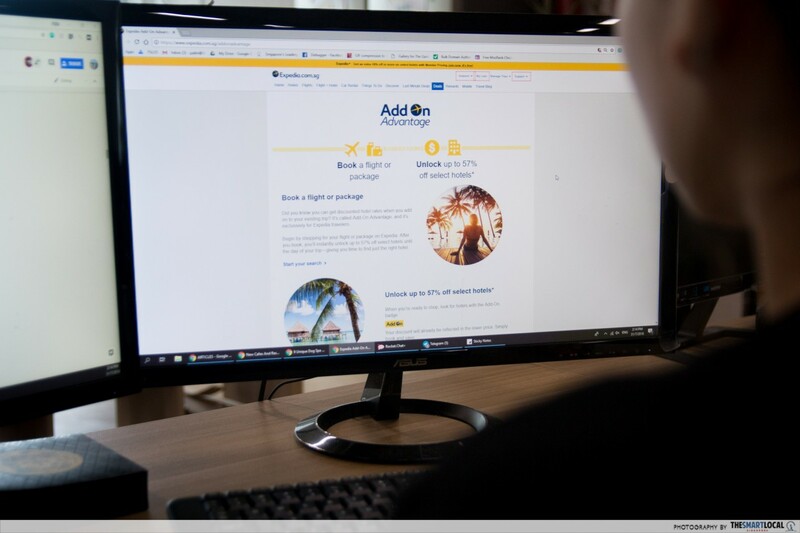 There’s no need to rush into booking your hotel with Expedia - their Add-On Advantage makes sure that you get your money’s worth, even as you’re leisurely taking the time to find the perfect hotel. Up till your day of travel, feel free to book as many hotel rooms you want in as many travel destinations you need. And with discounts of up to 57% off selected hotels*? That’s just a massive bonus. 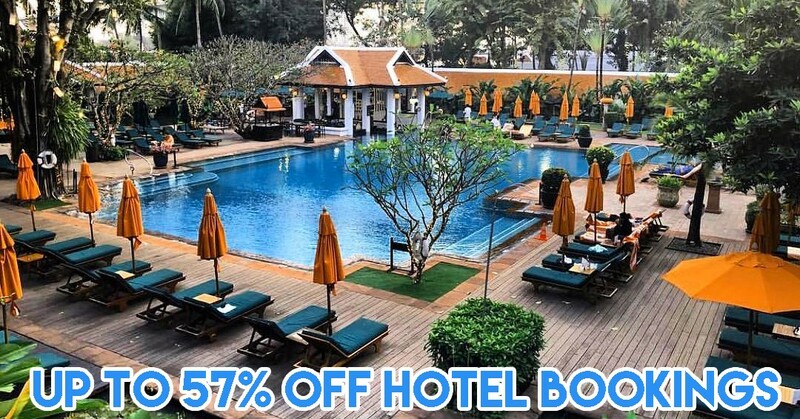 Book either your flight or package first to unlock these discounts so you can put some money aside for actual travelling - you know, like trying new cuisines or haggling at handicraft markets. Add-On Advantage is available on both Expedia’s website and app (iOS | Android). **All prices accurate at time of posting. 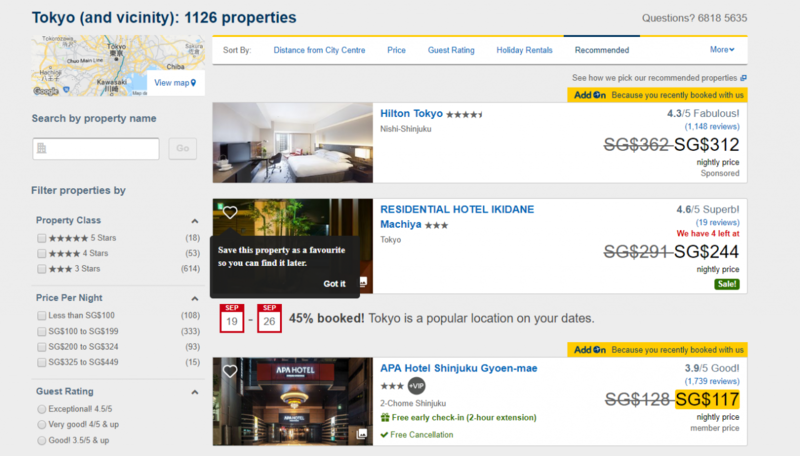 Find out more about Expedia’s Add-On Advantage here!